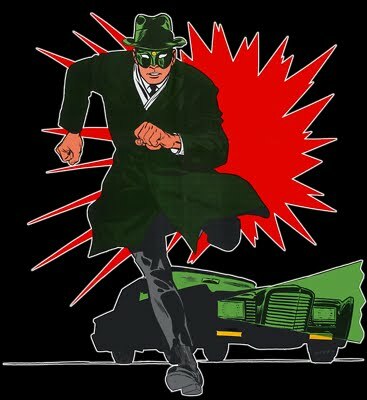 As The Green Hornet tv series went into production in June, 1966, the producers realized that there was no existing art showing the title character or his sidekick, Kato. 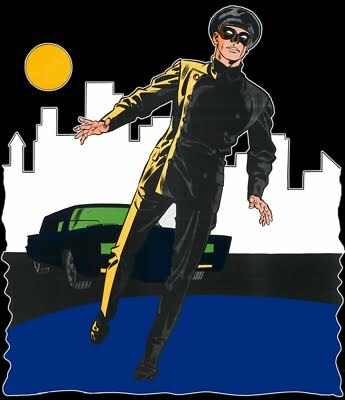 So, the producers commissioned new "key art" for promo and licensing purposes. 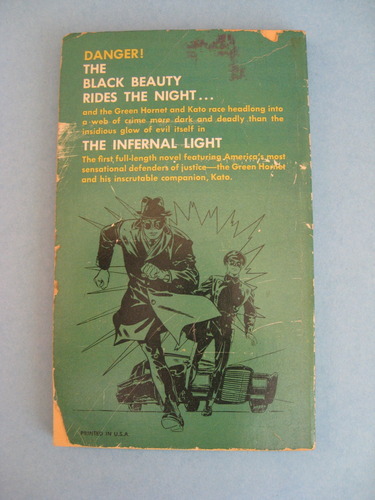 They chose noted comic book artist Gil Kane to produce the new graphics. 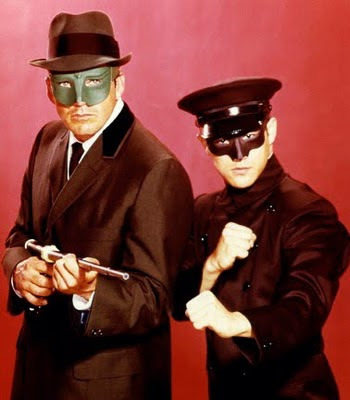 Using early costume-test photos (above: showing different masks used only in the pilot episode "Programmed for Death" and no gloves) as reference, Kane did several pieces which became the basis of almost all the merchandising art on various tie-in products including the Captain Action costume, playing and trading cards, and the sole paperback novel based on the tv show, Green Hornet in the Infernal Light (used on the back cover as seen below). 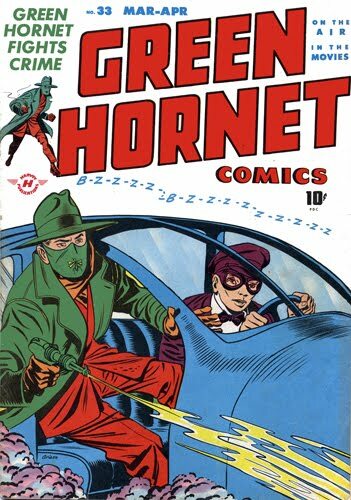 We've acquired 1966 original posters of the primary key art piece and digitally-remastered and restored them both on collectibles in our Icons line and as limited-edition posters Pop-Art #5 (Hornet) & Pop-Art #6 (Kato)! With a new feature film set for January, now's the time to get the latest Secret Chic items to wear to screenings (or to class) or put on your bedroom, dorm room, or den wall!